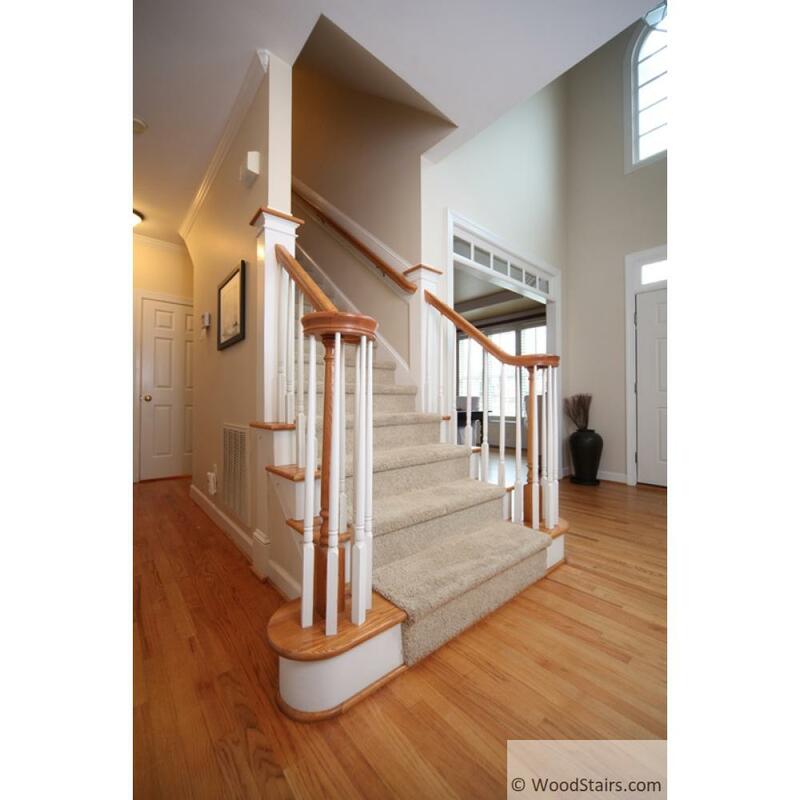 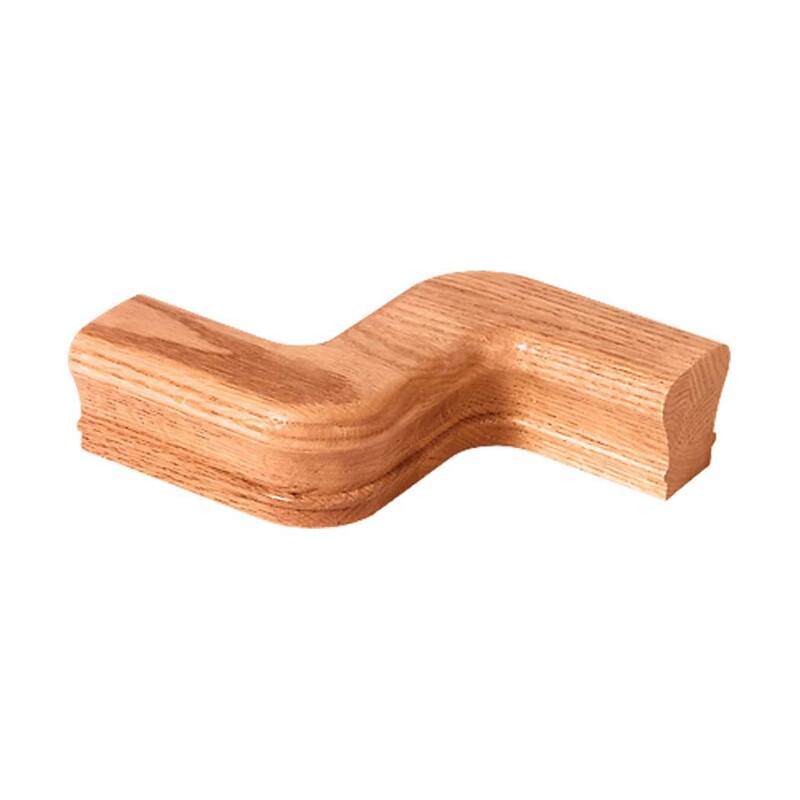 The Right Hand Volute for stair handrail includes the flat rail volute and a 60 degree Upeasing that is relatively gradual and typically used on straight stairs or the larger radius of curved stairs. 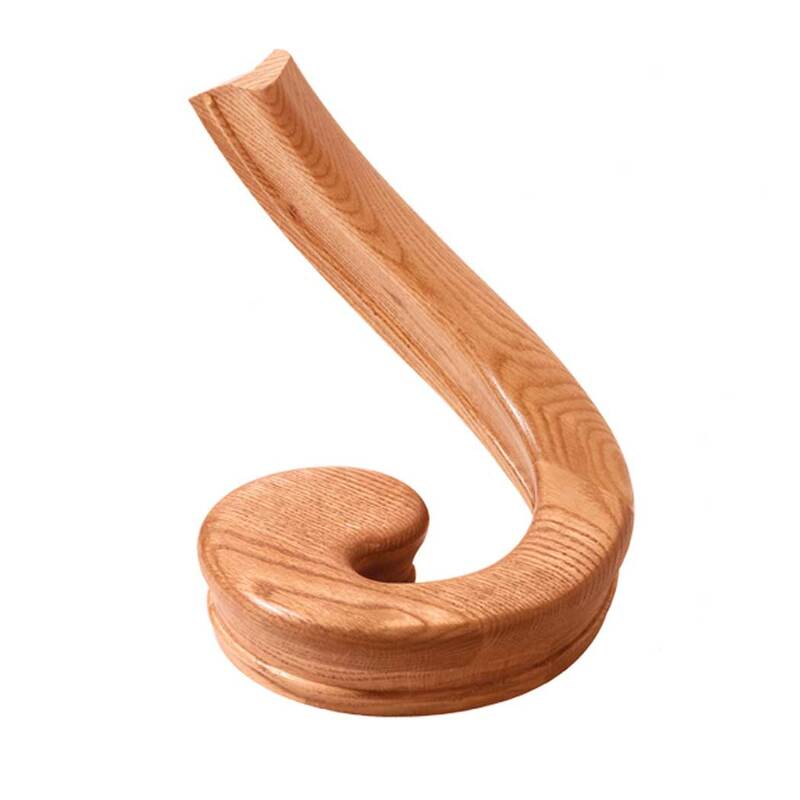 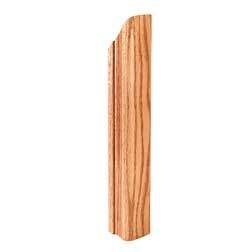 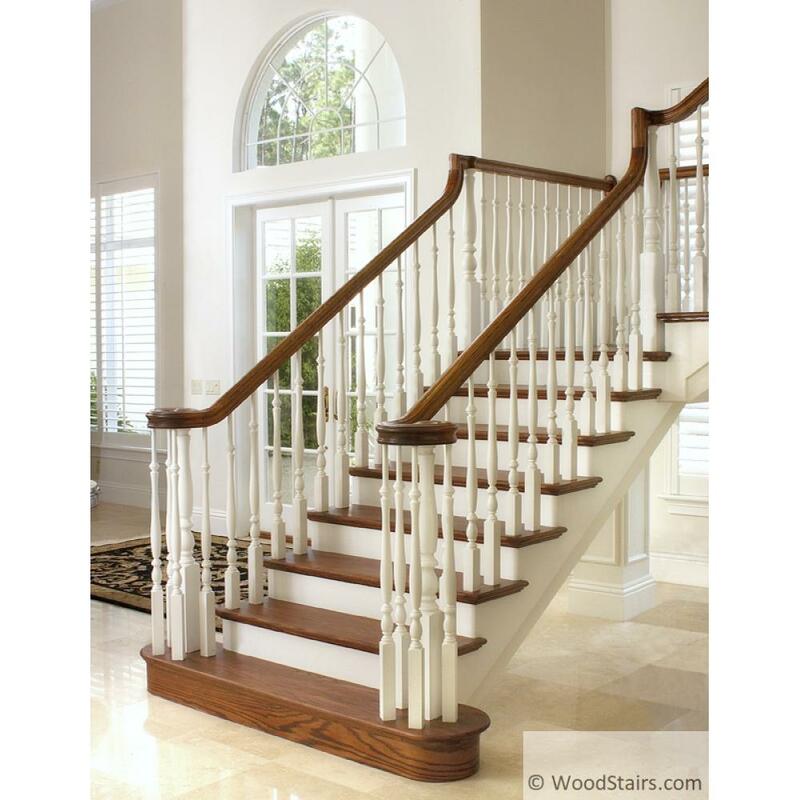 It is an elegant fitting that terminates in an inviting swirl atop the starting post at the bottom of a stair. 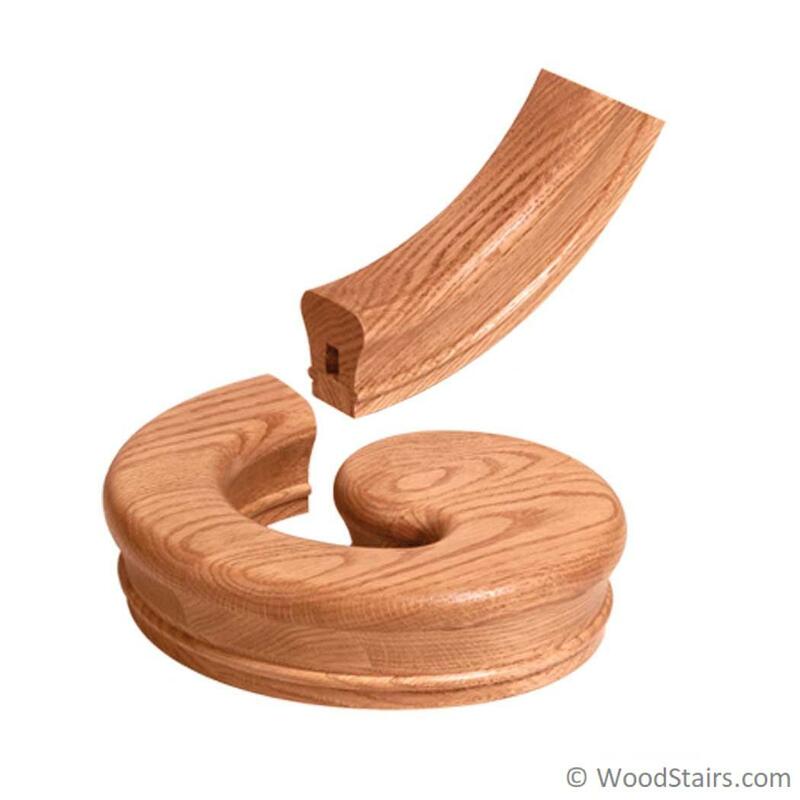 Volutes are one of the simplest methods to upgrade an entire stair and balustrade from typical to luxurious. 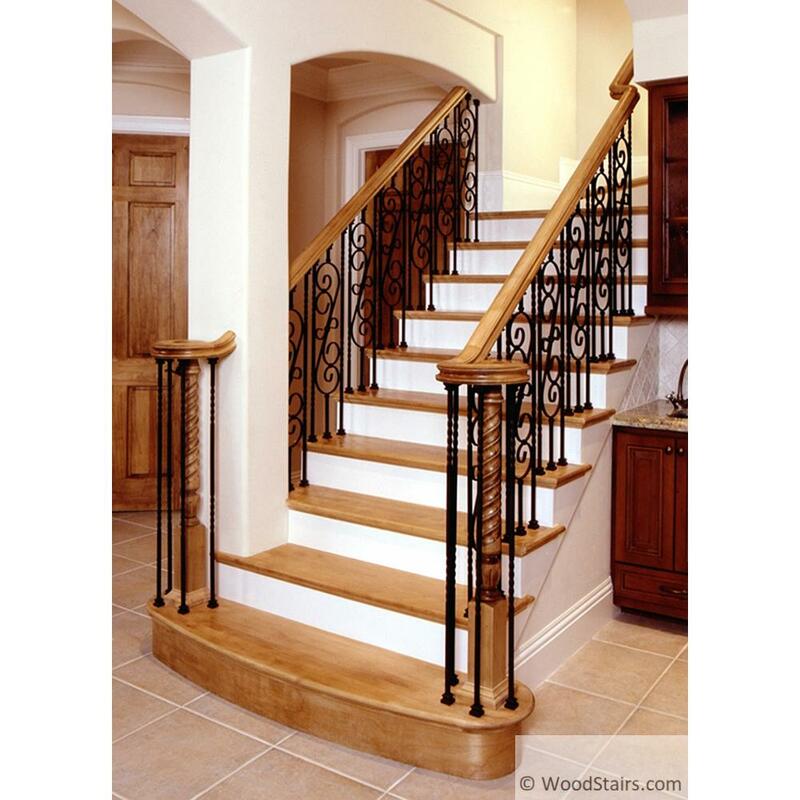 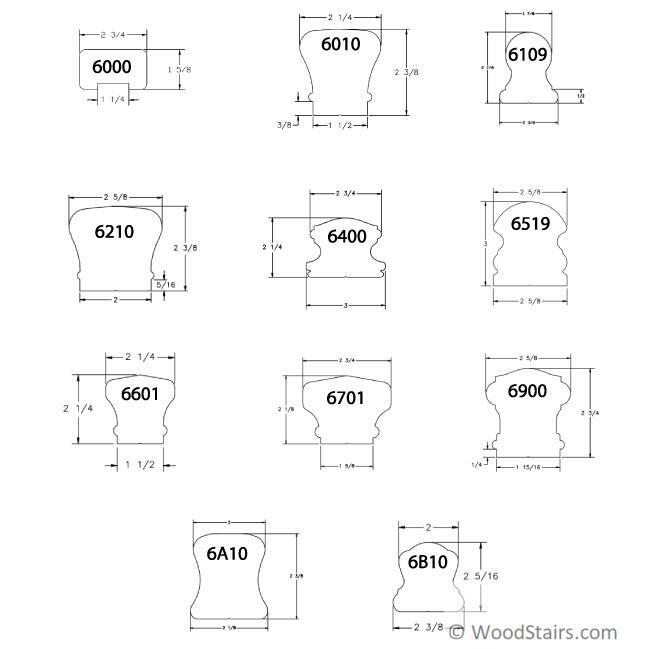 It is recommended that simple rather than ornate baluster designs, such as iron scroll balusters, are used beneath volutes because these can overlap in the small circular area.